How can Blockchain change the way we work, and how are government policies shaping Blockchain for business? 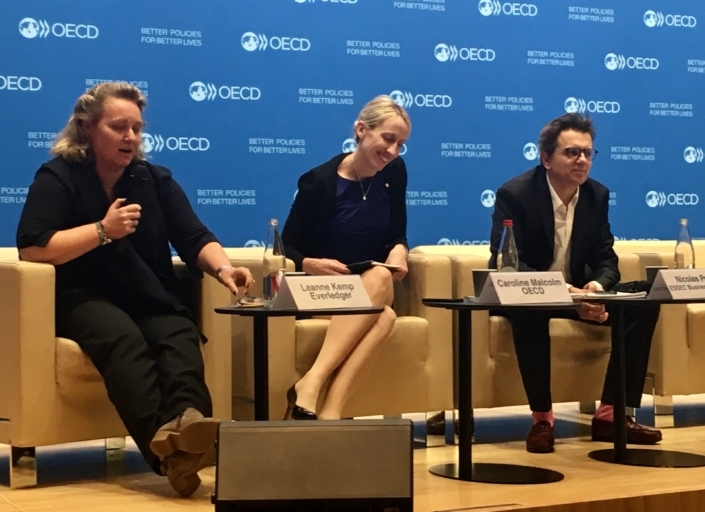 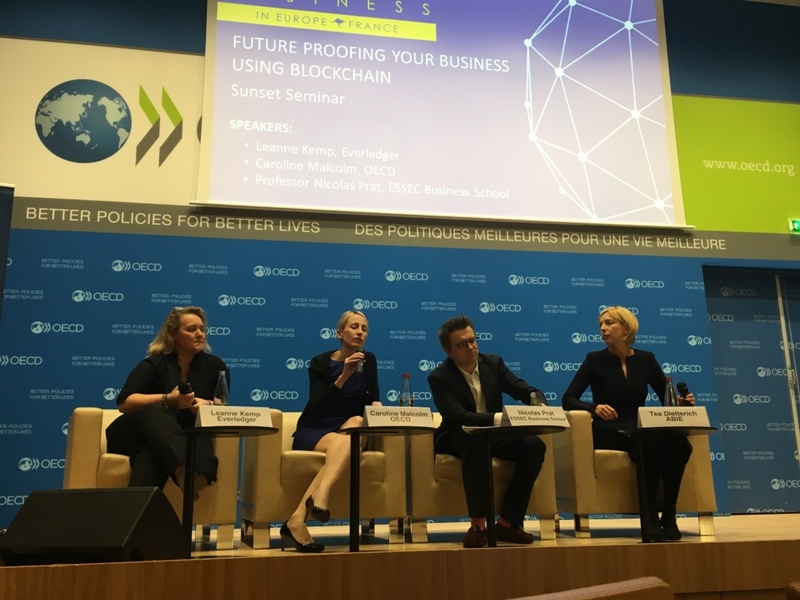 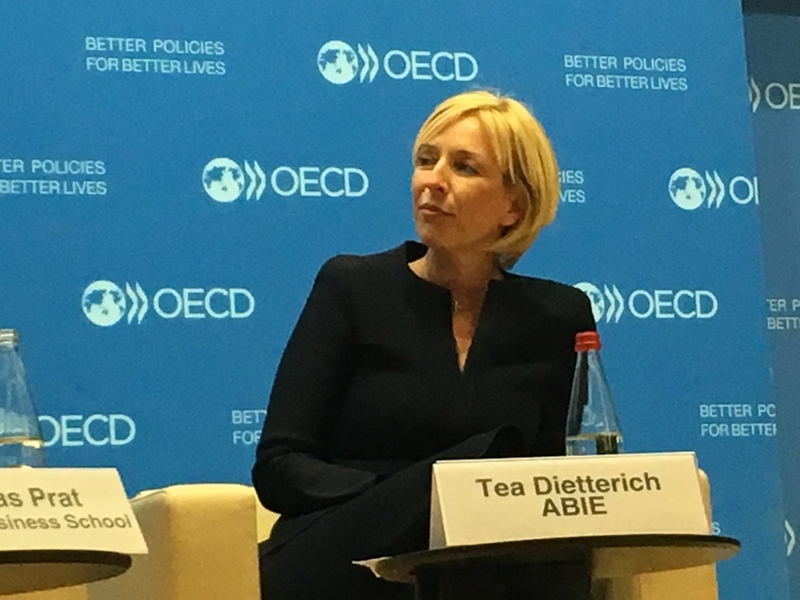 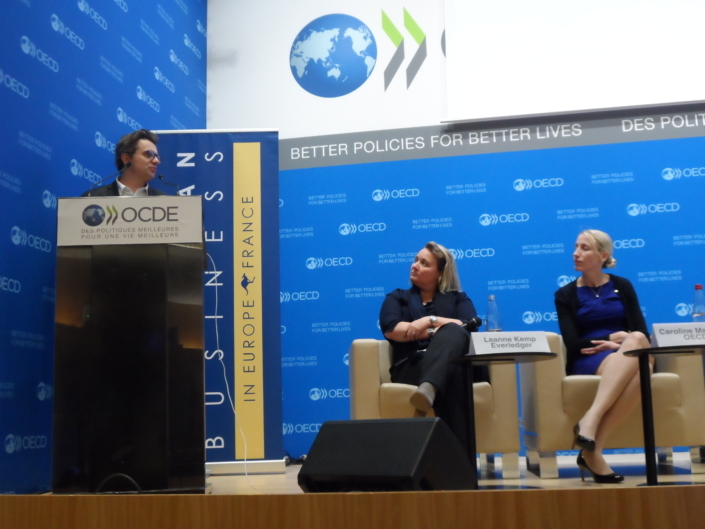 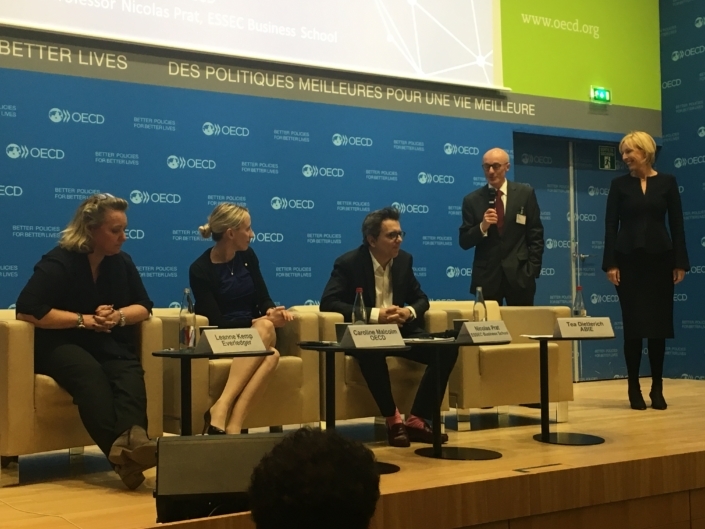 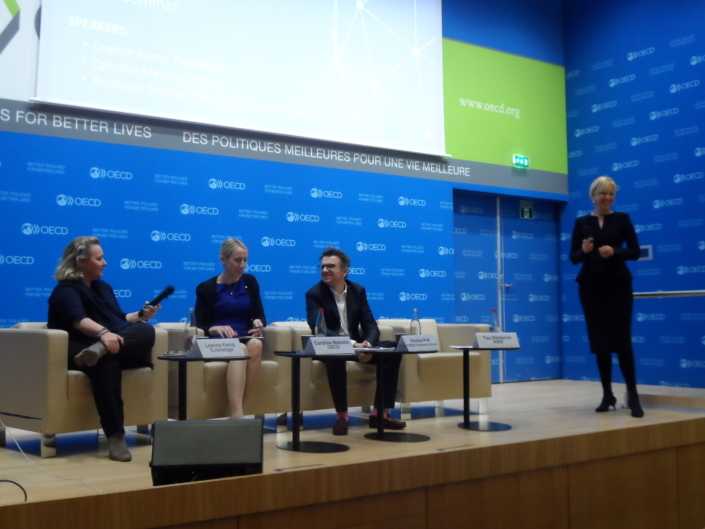 A powerful presentation on a much-hyped topic and a stellar lineup of speakers made ABIE’s Sunset Seminar on Blockchain at the OECD one ABIE’s most successful events to date. 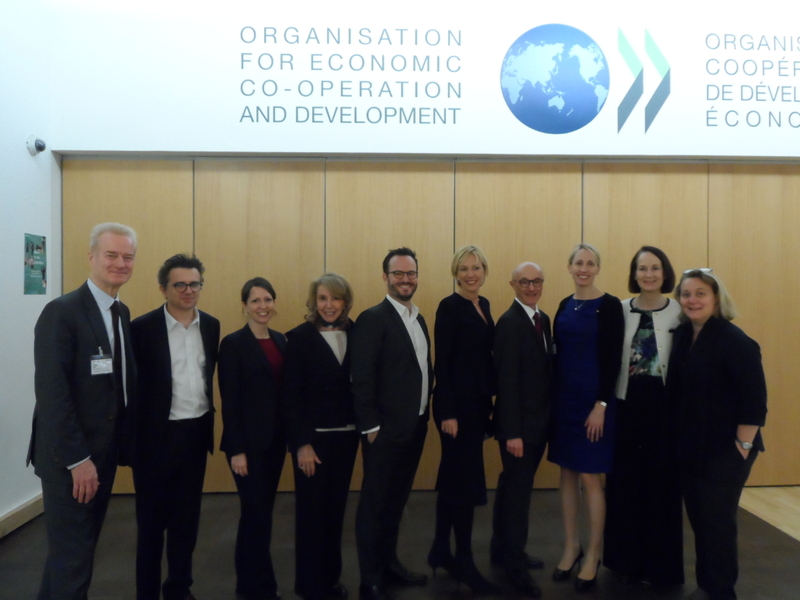 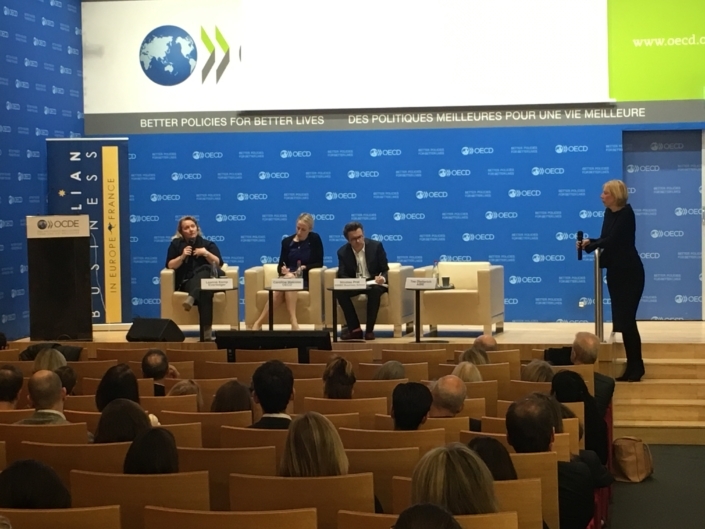 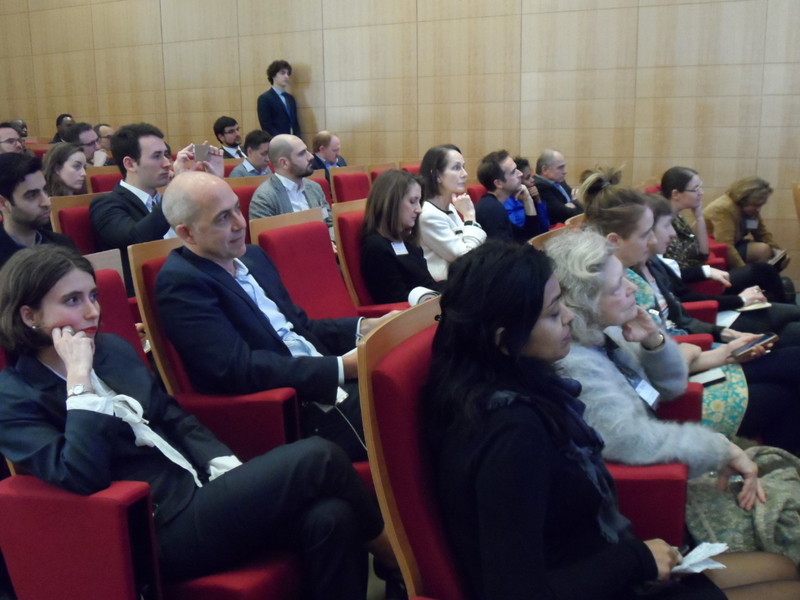 Hosted in the fantastic auditorium of the OECD’s Paris headquarters, the Sunset Seminar welcomed ABIE members and friends from across Europe. 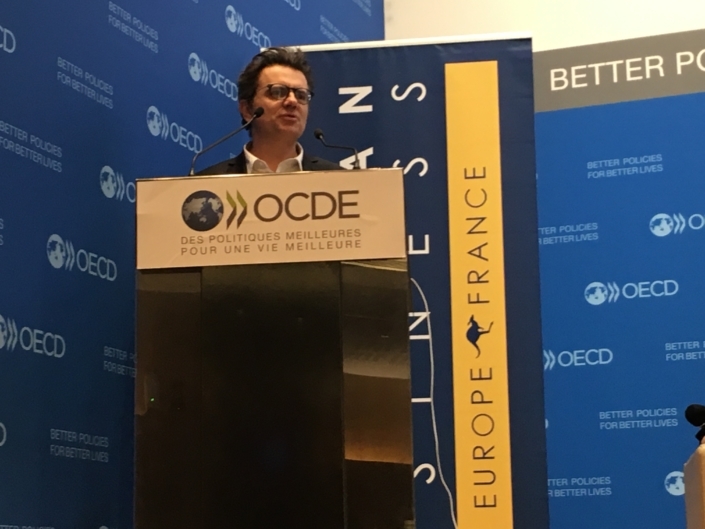 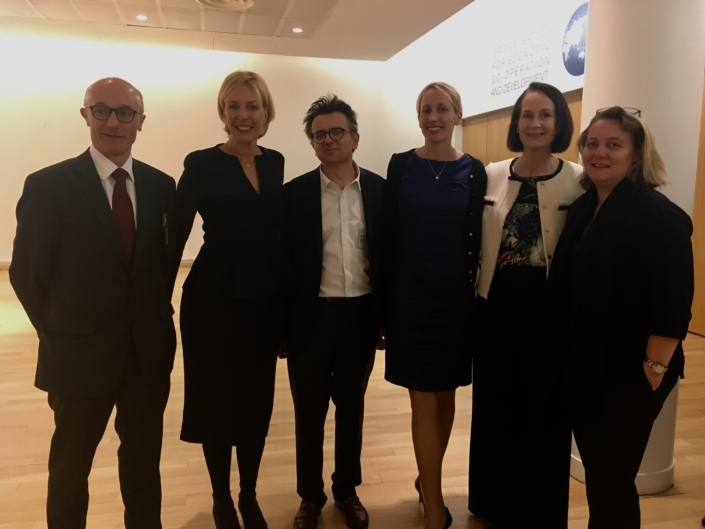 Introduced by ABIE France Treasurer and President of Antipodes Finance Stéphane Dupuy, and moderated by ABIE France Board Member and CEO of 2M Language Services Tea Dietterich, the Seminar delved into the far-ranging impacts of the technology. 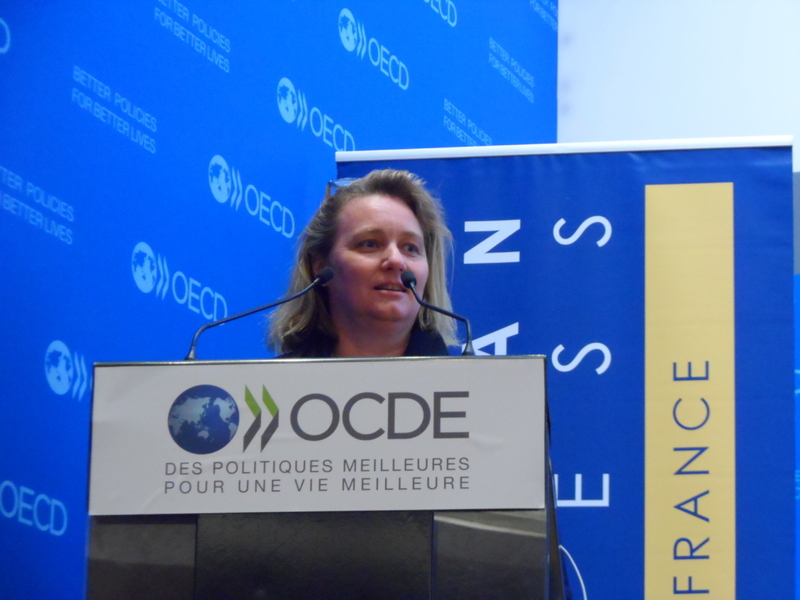 The Australian computer engineer, whose talents were once used to count kangaroos and cows in the outback, has won a bouquet of awards, including Innovator of the Year 2018 at the London Women in IT Awards and the Advance Australia Award; she was one of Brummel Magazine’s Top 30 Female Innovators and UK Business Insider’s 26 Coolest Women in Tech, is member of the World Economic Forum’s Blockchain Council, and was appointed Queensland’s Chief Entrepreneur in 2018. 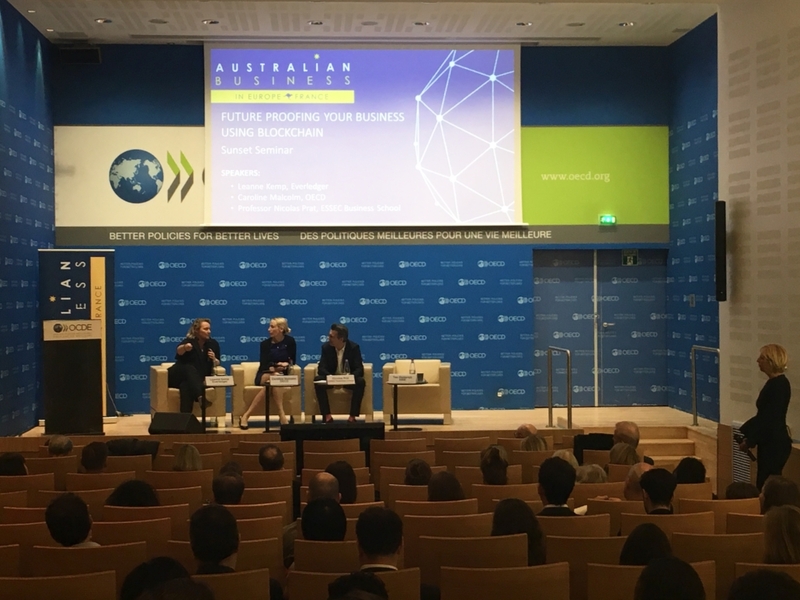 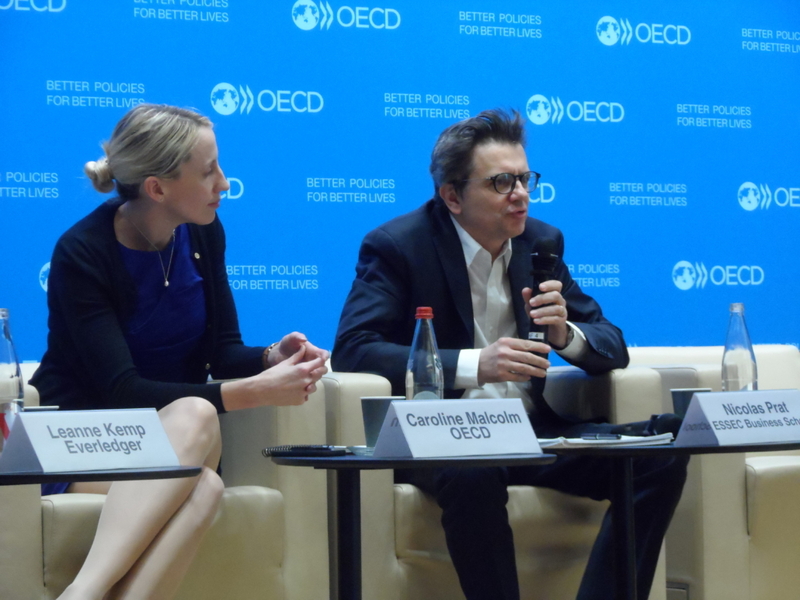 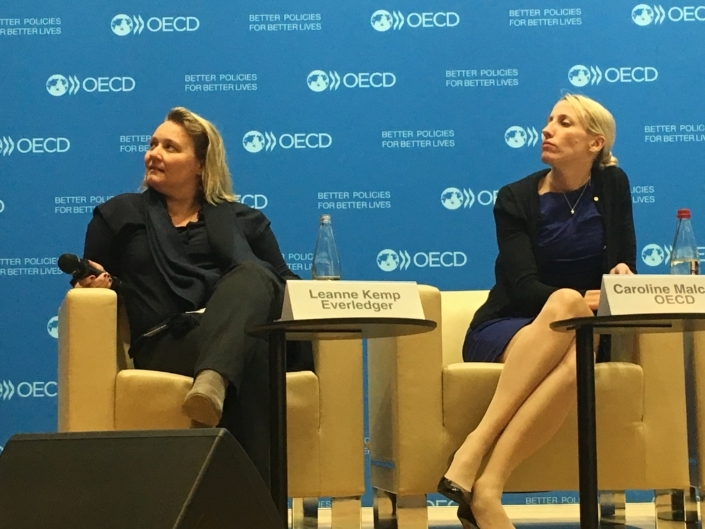 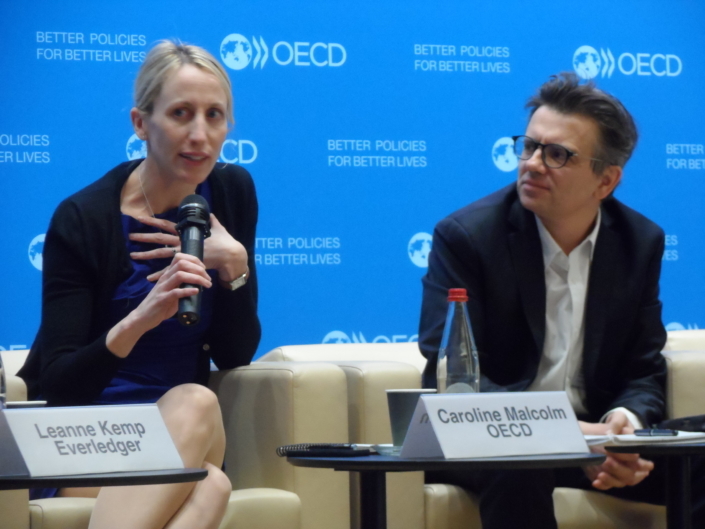 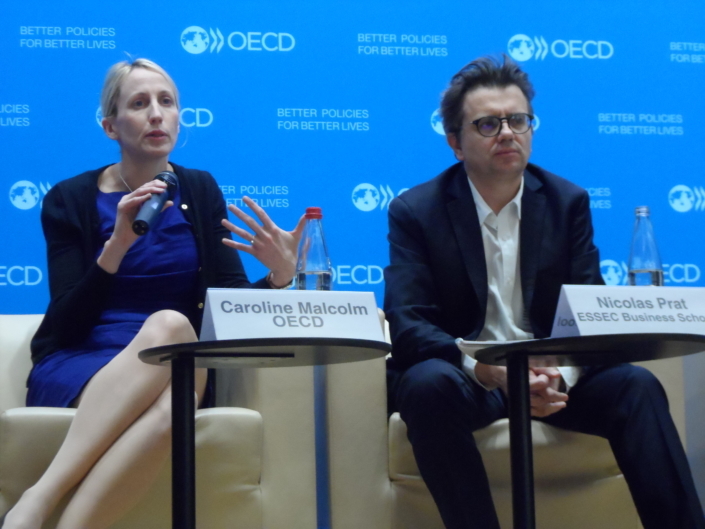 Leanne was joined by another Australian, taxation lawyer Caroline Malcolm, who was recently appointed Head of the OECD’s Blockchain Policy Centre, and Prof. Nicholas Prat of ESSEC Business School, for a dynamic and wide-ranging Q&A that covered topics such as connected technology, future battlefields, capacity building, and how many areas of life this technology can – and does – apply to. 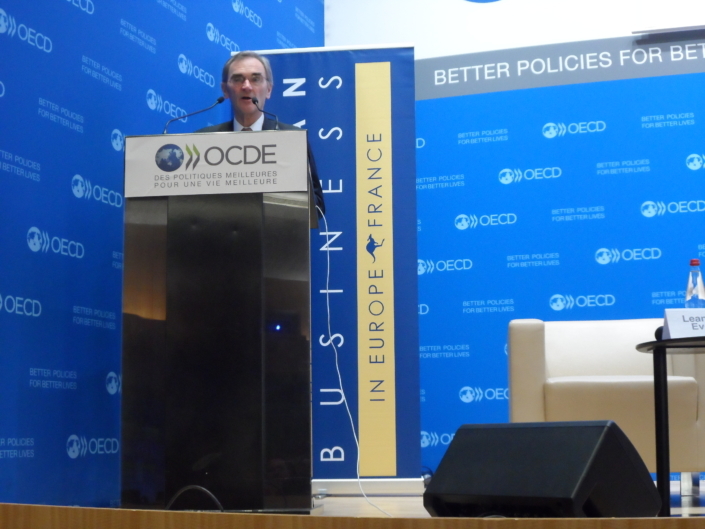 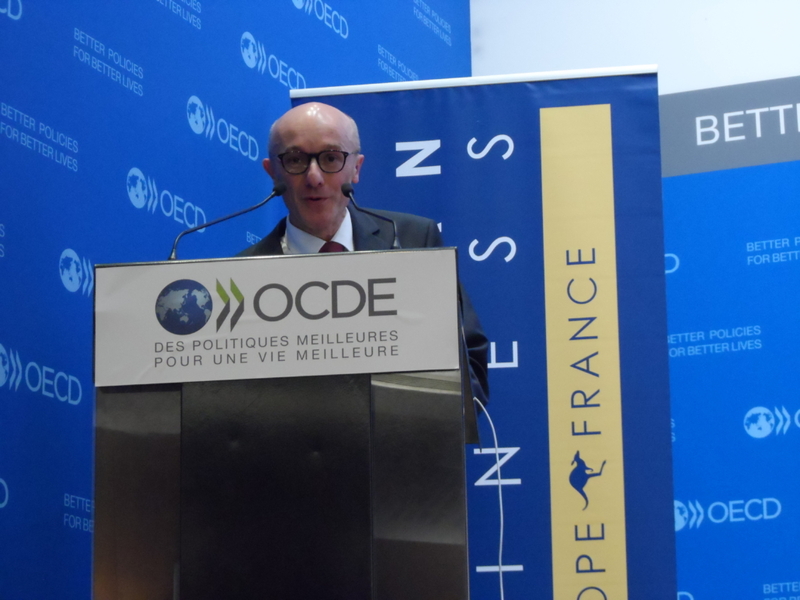 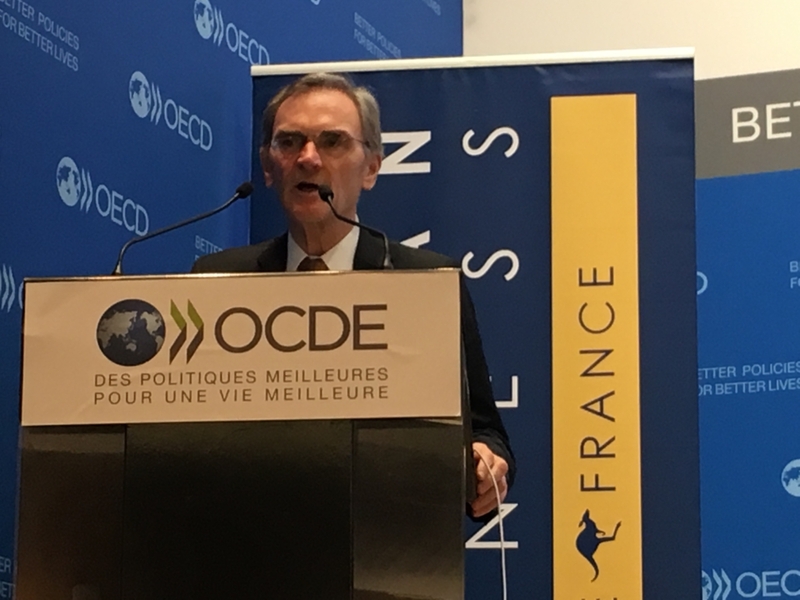 Greg Medcraft, the Australian Director of the OECD Directorate for Financial and Enterprise Affairs, welcomed the audience, saying Blockchain was set to transform the world’s business models and industries, and the OECD was presently researching the interaction between this technology and policy. 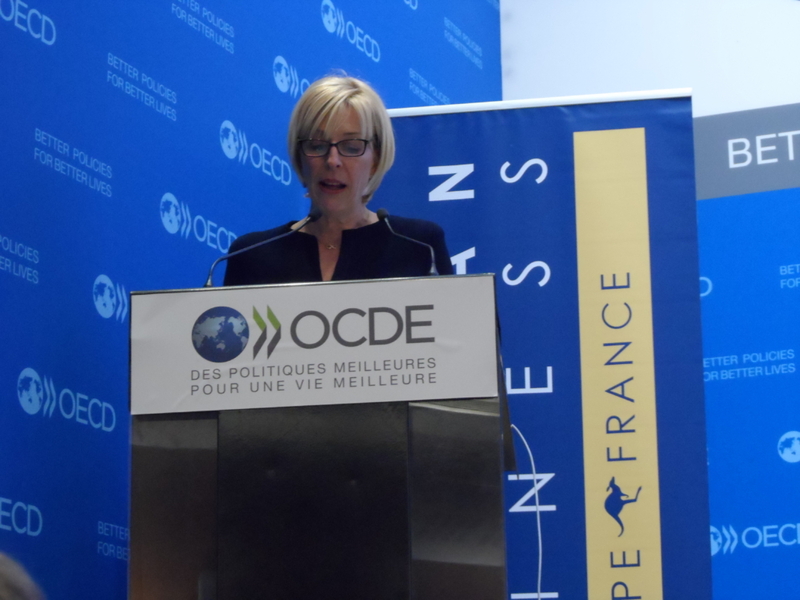 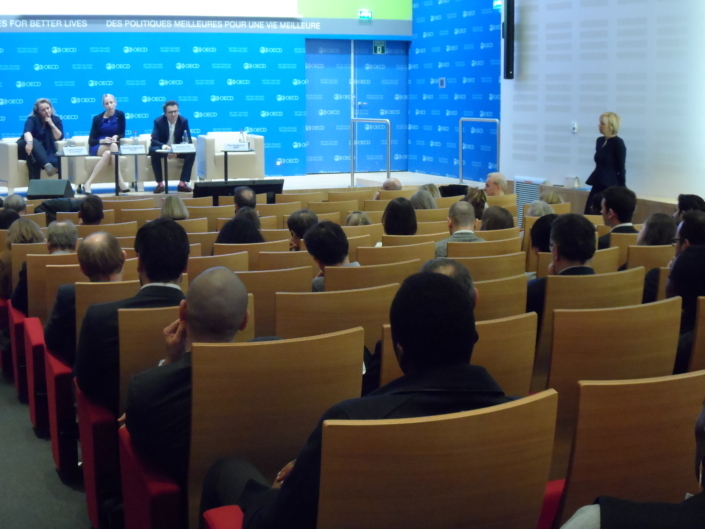 A flagship policy forum is to be held at the OECD on 12 and 13 September this year. Tracing the meteoric rise of her company, Leanne Kemp said Everledger was launched in 2015 with $US118,000 seed funding. It’s task? 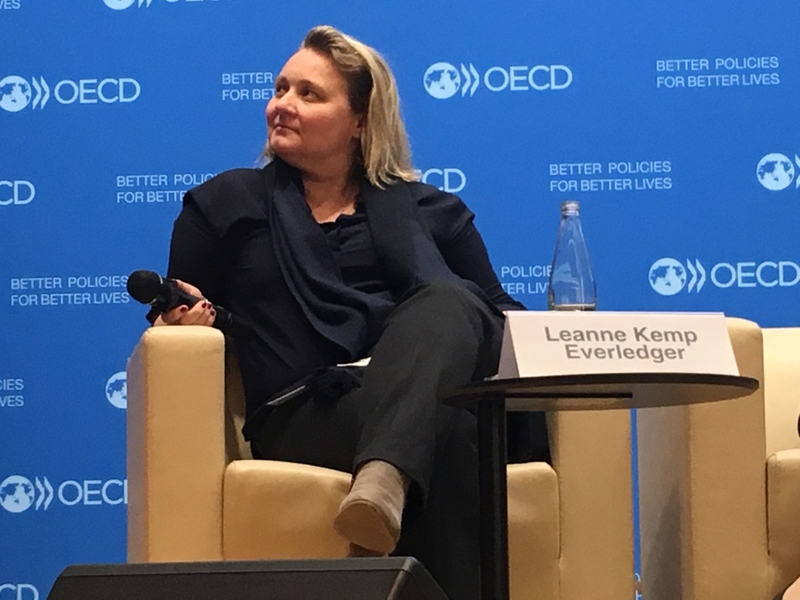 To track the provenance of diamonds from source to sale, assuring their validity and preventing counterfeit and “blood diamonds” from entering the market. 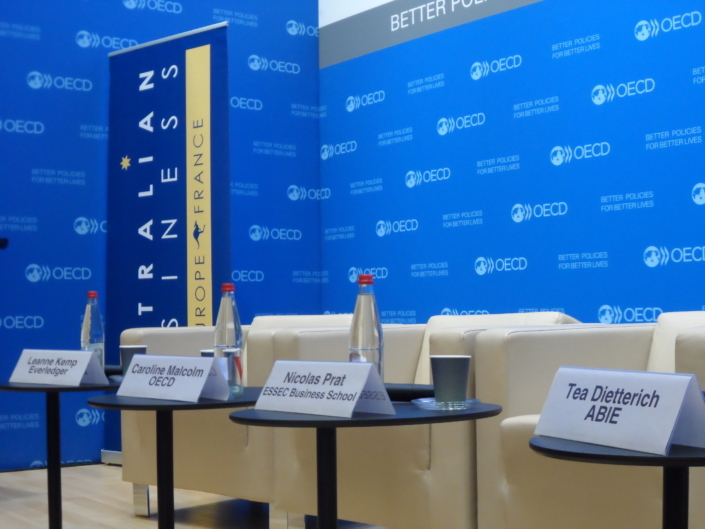 For more information about the panel speakers, click here.